Standing at Stud - KPH Trojan the Greek. To view more details including progeny of KPH Trojan The Greek please go to his website: www.kphstud.com. KPH Trojan The Greek is an eye-catching 10 year old Bay Warmblood stallion standing at 16.3 hands high. 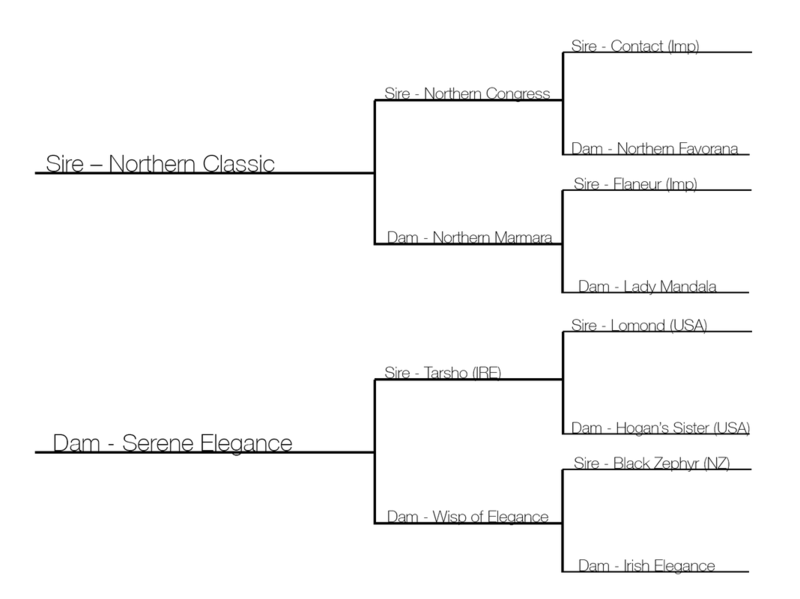 He has correct conformation and boasts excellent bloodlines on both sides with his sire being Northern Classic who’s Holstein lineage goes back to the great Core de la Bryere on his sire's side and Flaneur on his dam's side, and his dam is Serene Elegance who is a finely bred thoroughbred mare. Actively competing in the show and dressage arenas with his attention-grabbing good looks he has won numerous Champion Warmblood & ANSA exhibits, and has wins and placings from all his dressage outings. He is currently competing medium level dressage with scores up to 65% and showing great promise at Advanced level. Further demonstrating his flexibility and agility he is capable of free-jumping up to 1m 20 and has jumped up to a metre under saddle. He has an extremely quiet and trainable temperament and has received many positive comments on his quiet behaviour. He is passing along all his good traits including his excellent conformation and quiet easy-going temperament to his progeny the eldest being KPH Chevalli who has gone from competing Preliminary dressage at the beginning of last year to training Elementary. KPH Trojan The Greek will now be offered to outside mares for the 2017/18 breeding season.